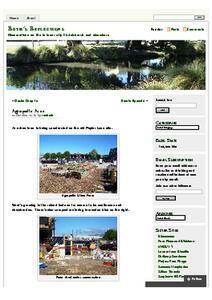 An entry from Ruth Gardner's Blog for 30 October 2013 entitled, "Agropolis Area". 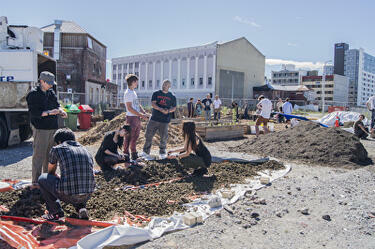 A photograph of people working at Agropolis before the public launch event during FESTA 2013. Agropolis is an urban farm on the corner of High Street and Tuam Street. 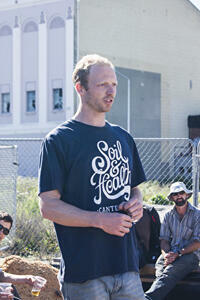 Organic waste from inner-city hospitality businesses is composted and used to grow food. A photograph of a woman with soil in her hands, before the opening of Agropolis, an urban farm on the corner of High Street and Tuam Street. 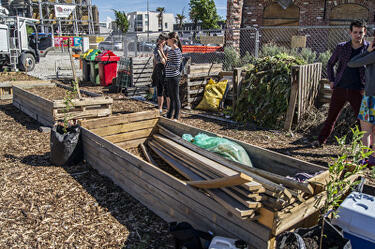 Organic waste from inner-city hospitality businesses is composted and used to grow food. Agropolis was the venue for several events throughout FESTA 2013. 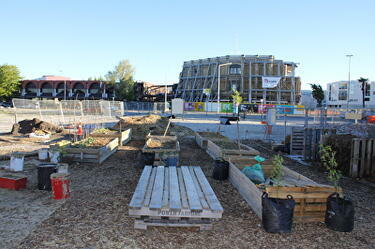 A photograph of plants in a raised garden bed at the opening of Agropolis during FESTA 2013. Agropolis is an urban farm on the corner of High Street and Tuam Street. 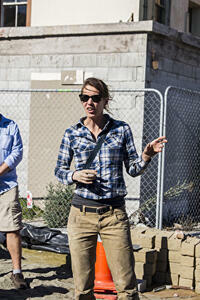 Organic waste from inner-city hospitality businesses is composted and used to grow food. 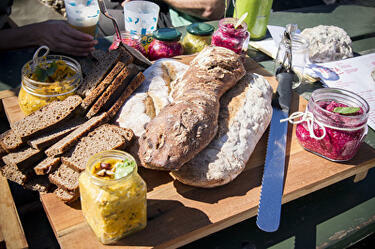 A photograph of a freshly-made spread in a jar on a table at Agropolis, for the public launch event as part of FETSA 2013. 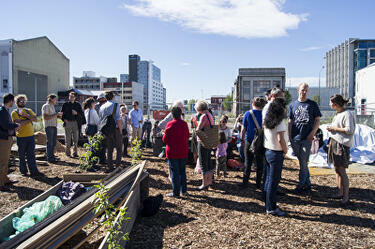 Agropolis is an urban farm on the corner of High Street and Tuam Street. 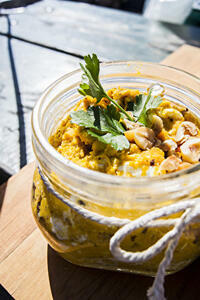 Organic waste from inner-city hospitality businesses is composted and used to grow food. 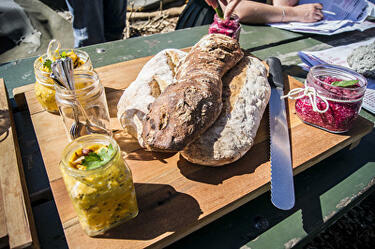 A photograph of fresh bread, pickles and spreads on a table at Agropolis, for the public launch event as part of FESTA 2013. Agropolis is an urban farm on the corner of High Street and Tuam Street. Organic waste from inner-city hospitality businesses is composted and used to grow food. 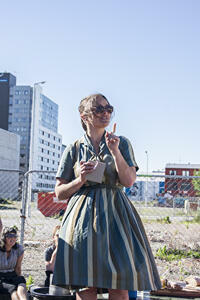 A photograph of people at Agropolis just before the public launch event, which was part of FESTA 2013. Agropolis is an urban farm on the corner of High Street and Tuam Street. 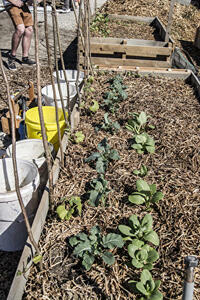 Organic waste from inner-city hospitality businesses is composted and used to grow food. 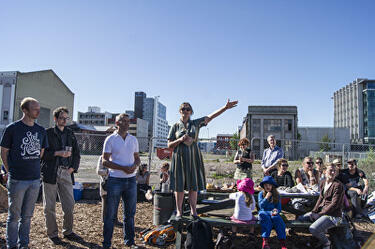 A photograph of Jessica Halliday of FESTA giving a speech at the public launch of Agropolis. The launch was part of FESTA 2013. Agropolis is an urban farm on the corner of High Street and Tuam Street. 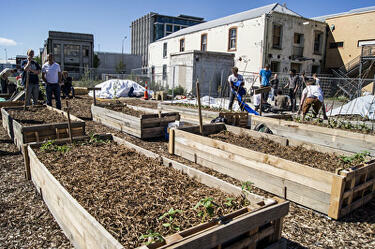 Organic waste from inner-city hospitality businesses is composted and used to grow food. 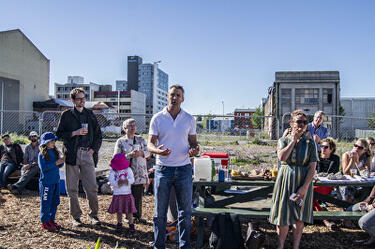 A photograph of a speech being given at the public launch of Agropolis, which was part of FESTA 2013. Agropolis is an urban farm on the corner of High Street and Tuam Street. Organic waste from inner-city hospitality businesses is composted and used to grow food. 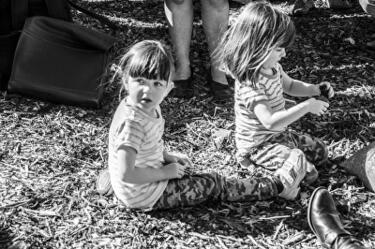 A photograph of young children at the public launch event for Agropolis, which was part of FESTA 2013. Agropolis is an urban farm on the corner of High Street and Tuam Street. Organic waste from inner-city hospitality businesses is composted and used to grow food. 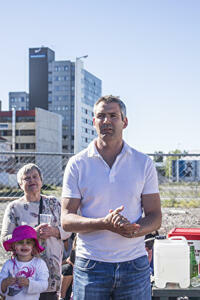 A photograph of the public launch event for Agropolis, which was part of FESTA 2013. Agropolis is an urban farm on the corner of High Street and Tuam Street. Organic waste from inner-city hospitality businesses is composted and used to grow food. A photograph of compost heaps at Agropolis, an urban farm on the corner of High Street and Tuam Street. Organic waste from inner-city hospitality businesses is composted and used to grow food. Agropolis was the venue for several events throughout FESTA 2013. A photograph of Agropolis, an urban farm on the corner of High Street and Tuam Street. Agropolis was the venue for several events throughout FESTA 2013. 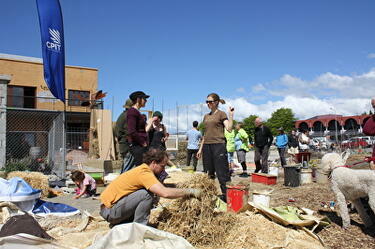 A photograph of people working at Agropolis, an urban farm on the corner of High Street and Tuam Street. 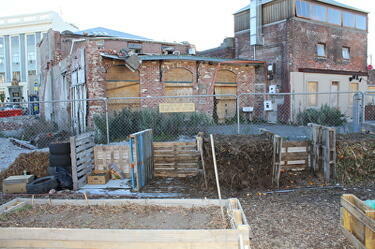 Organic waste from inner-city hospitality businesses is composted and used to grow food. Agropolis was the venue for several events throughout FESTA 2013.